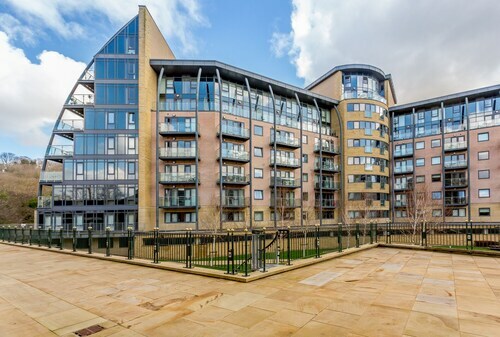 Situated in Shipley, this historic property is within 1 mi (2 km) of Salts Mill and Shipley Glen Tramway. Northcliffe Golf Club and Lister Park are also within 3 mi (5 km). Shipley Station is 7 minutes by foot and Saltaire Station is 13 minutes. How Much is a Hotel Room in Saltaire Village? Hotels in Saltaire Village start at $35 per night. Prices and availability subject to change. Additional terms may apply. Travelers to West Yorkshire will uncover a variety of accommodation alternatives to choose between in Saltaire Village. 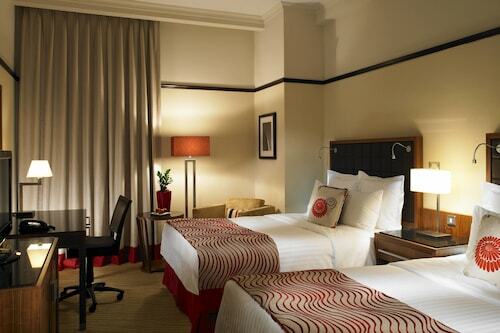 Spend a while perusing the 23 accommodation choices on Travelocity, all conveniently located within a 6-mile (10-kilometer) radius of central downtown. 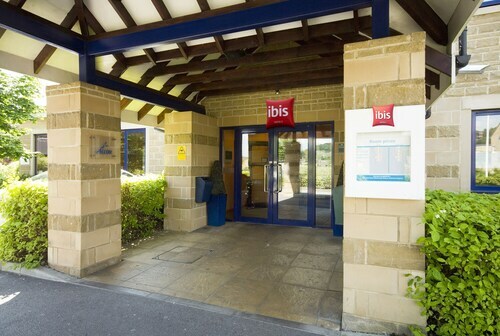 The ibis Bradford Shipley, is a wise option for travelers as a result of the fact that it's the most centrally located Travelocity-listed accommodation choice in Saltaire Village. 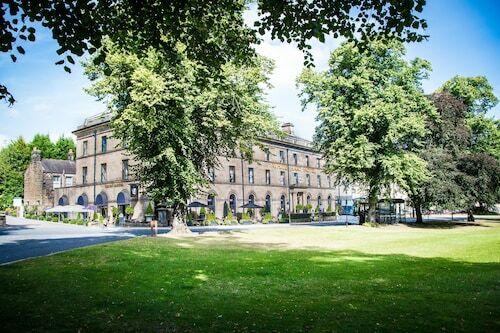 10 miles (17 kilometers) outside of the city center of Saltaire Village, you will come across the Devonshire Arms Hotel & Spa. The Gateway Apartments is located about 11 miles (17 kilometers) away. 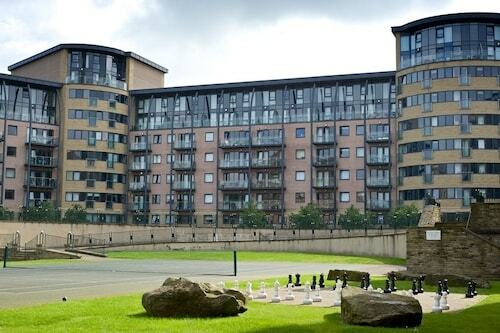 Two other accommodation options in the Saltaire Village area include the Quebecs Luxury Apartments and the The Chambers - Park Place - Apartments. 7 miles (10 kilometers) away from Saltaire Village, you can find Ilkley, home to Ilkley Moor and Ilkley Toy Museum. The Best Western Rombalds Hotel and Craiglands Hotel are a handful of the comfortable apartment and hotel alternatives in Ilkley. 4 miles (7 kilometers) northeast of Saltaire Village, you can find Yeadon, which boasts the Chevin Country Park Hotel & Spa and Hillcroft Barn. The Yeadon Tarn Park and Yeadon Town Hall are some more frequented points of interest to visit when you're in Yeadon. Ensure a serving of local sport with a journey to Old Trafford, which can be found 35 miles (53 kilometers) to the southwest of Saltaire Village. 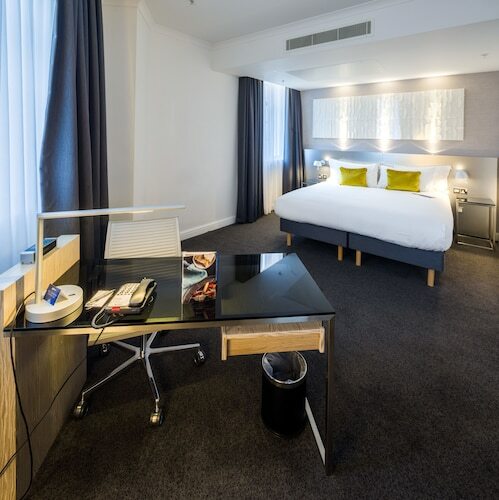 Visitors who are thinking about locating a hotel close to the stadium, make a reservation in the Dreamhouse Manchester Bloom Street or The Lowry Hotel. 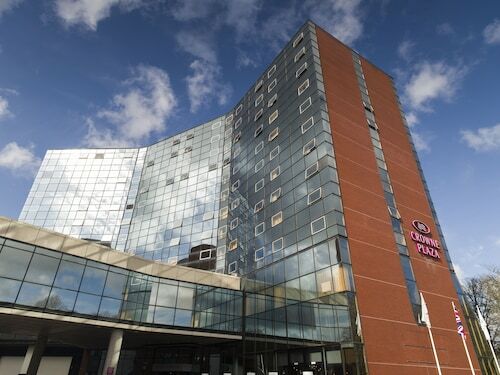 When you are flying through Leeds Bradford Airport and hope to stay in the area, why not consider The Half Moon Inn or Britannia Leeds Bradford Airport Hotel.